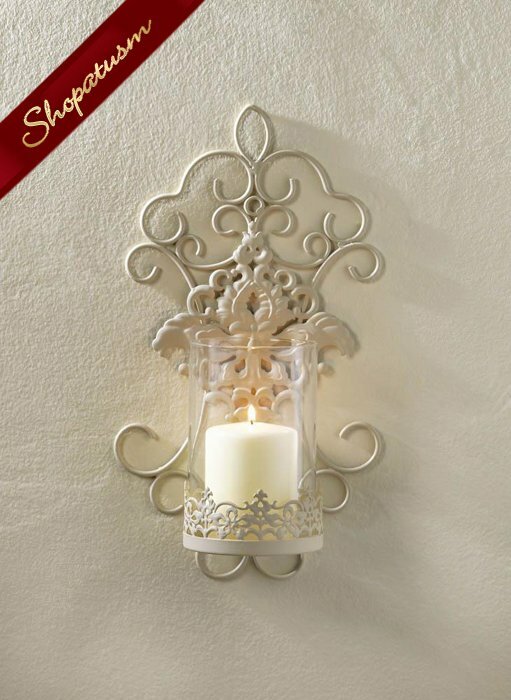 Delicate lace and intricate scrollwork features make this ivory wall sconce a romantic lighting accent for your room. The iron framework features pretty scrolls and lace-inspired flourishes at the base of the clear glass candle cup and more. Iron and Glass. Measurements: 8.5" x 4.75" x 14.8" High. Weight: 1.4 pounds.